It's been a really busy week here on Horizon Ridge. John is off being a stunt man, and I am going to class to learn how to be an Emergency Medical Responder. The two things are not related, though I see how a correlation could be drawn there. I've also got a PR event coming up next week which puts me in Los Angeles for less than thirty six hours. I also have to finish recording the narration for a documentary that I've been asked to do. I also have to figure out how to get a handle on the laundry that appears to be morphing into an entity of it's own that will soon attempt a hostile takeover of the apartment. I've been so busy that I haven't really been cooking, but I did want to share that after a lot of consideration, deliberation, and experimentation, I've started eating chicken again. I'm sure this is one of those revelations that is only huge to the person revealing it. But still, it's a pretty big step for me and I'll see where it goes. I was almost expecting my first chicken dish to make me roll around on the floor cursing the heavens wondering why on earth I spent so many years not eating the delectable flesh of other beings, but it was just.... meh. It was a little different but I wasn't wowed. Of course, the thing with not eating chicken for so long is that I also have to learn how to cook it. This is going to be the challenge for me. I have to add this enormous item to my repertoire. It's going to be a huge learning experience and a challenge discovering how to do this. 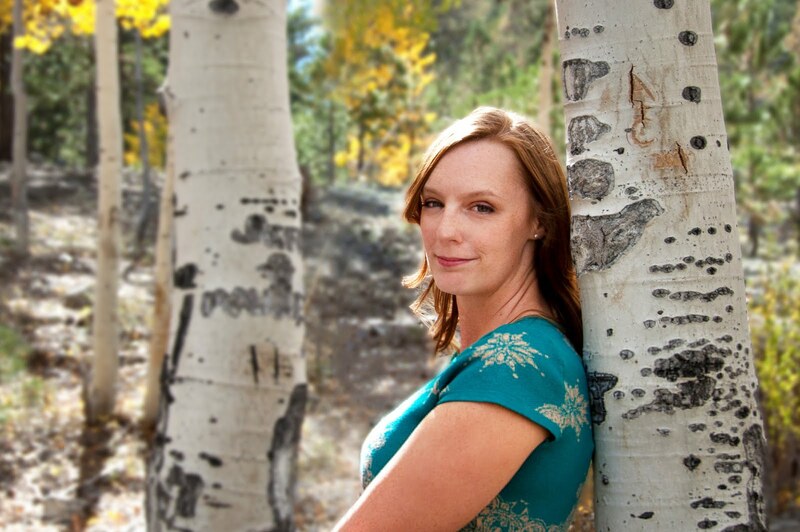 So if you have a kickstarting suggestion of a recipe that I should try, please please let me know! But for now, it's back to work and time to focus on the plethora of tasks that I have to accomplish in the next six days. Yikes! I have mentioned before that I am a slacker when it comes to using new ingredients in recipes, and that I had overcome this to a degree by snatching up some Buttermilk at the store. Being somewhat proud of myself, I started thinking about what else I could do with this strange substance. Since it is a slightly sour substance, I wasn't sure what else to do with it. I tried adding it to a couple of my standard sauces, but found it curdled easily and the flavor didn't come out so well. Luckily for me I didn't have to think too hard as Tori suggested that I try Buttermilk Pancakes. Genius! I kept the idea in the back of my mind for a while, as when it comes to breakfast I often find it hard to break my poached egg on toast habit. I could honestly eat poached eggs on toast for all three meals a day. I adore them... even more so now since I have actually learned how to poach eggs successfully (and not only did I learn, but I also taught John, which is proving to be super handy). Sometimes I even jazz it up by having them on an English Muffin instead. But, since it was a Sunday I chose to be all brunchy and I actually made pancakes. I wanted something fluffy, but also wholesome, preferably with some whole wheat flour in there, and not much sugar. I wanted it to be low on butter, but rich in buttermilk. This is what I came up with and I am quite happy with how they turned out. These were yummy pancakes. I almost always pair my pancakes with fruit, and today the winner was a nice juicy nectarine that was about to turn into a not so nice mushy nectarine, so I sliced it up and put it in a pan with some water and sugar to make it delicious and soft, and to create a fruity syrup. I was ever so happy with these and am adding them in to my repertoire. I might tweak them further, but for now I strongly advise you grab some Buttermilk and make yourself brunch. In a small saucepan, mix together the nectarine, sugar and water. Leave it to simmer on medium low while you make the pancakes. If it looks like it's reduced too much, add a little more water. Heat your oven to 170° degrees or it's lowest setting. Mix all of the pancake ingredients together. Spray a non stick pan with cooking spray and heat it on medium. Pour a quarter of the batter into the pan. Cook for several minutes, until the sides are dry looking and the middle just has a little jiggle. Flip and cook a little more on the other side. Place in the oven to keep warm while you make the remaining pancakes. When done, spoon the nectarines over your two plates of pancakes and drizzle with syrup. I like to smoosh the nectarines with my fork so I get some on every bite. Makes four pancakes (two servings). I've really been enjoying my CSA this year. I think that having farm fresh veggies delivered to your door is quite spiffy, and I've been meaning to try this out for a really long time. The only problem I've found is with the quantities of items I've been getting. I'll often be building up a stash of a certain vegetable, whereas another one is gone in what feels like mere moments. I really don't go through that much garlic, and only three tomatoes? In August? How sad. My partner in crime, Jenn, has been splitting the basket with me which has been great because it keeps the cost much more manageable. She also does not like Eggplant, and said that I could keep it all. Which, too, is great, except now I have all this Eggplant. And weirdly enough, I didn't get any zucchini so my initial plan of making Ratatouille went out of the window as soon as this weeks basket showed up. So, I did what any obsessive home cook would do. I pulled out half my cookbooks and spent an hour and a half going through them all and marking out every Eggplant recipe. For every single recipe I found, I was missing at least one major ingredient. Since I have no intention of grocery shopping until the next paycheck comes in (thank you pasta stash), I discounted all of them and turned to the internet. Then, inspiration hit. I found a few people who had added Eggplant to a standard Caprese salad. It made sense... Eggplant and tomato tend to be great bedfellows. And since I had no mozzarella, what else to do but to use goat cheese. I've been really good. I haven't foisted a goat cheese recipe on you for ages. And from this, the Eggplant and Tomato Stack was born. When John came into my life he brought with him three things; the ability for me to always wear heels without being concerned about my partners "height" issues, an insane cat named Leon, and a George Foreman Grill. I've never had access to an electric grill before and I must say that I am an absolute convert. It's delightfully simple, just plug it in, let it heat up, and throw something in there. John used to use it for chicken and fish, but I use it for veggies. I would be very sad if I didn't have one. I think I like it more than I like the cat, but that is probably because the grill doesn't wake me up at 6am by walking on my hair. If you don't have one (a grill, that is, not the cat...which is really unimportant in an Eggplant recipe), you can make the Eggplant on an outdoor grill, or just in a pan coated with a little non-stick cooking spray. I use goat cheese in this recipe, but you could easily substitute mozzarella and just sprinkle chopped basil between the layers. Slice the eggplant, skin and all, in large slices, about half an inch thick. I used an Eggplant that yielded me four slices. Heat up a grill or a pan with a little non-stick cooking spray. Brush both sides of the eggplant with olive oil and then sprinkle on some salt and pepper. Grill for about 5 minutes or so until each side has some color. Meanwhile, soften the goat cheese a little by warming in a microwave for 10 seconds or so. You want it a little soft, then you can mix in the basil and a couple more grinds of pepper. Slice the tomato so that you have two pretty thick slices. Then assemble the dish by laying down a slice of eggplant, a dollop of goat cheese, the tomato, another dollop of goat cheese, and then another slice of eggplant. Drizzle 1/4 teaspoon of balsamic vinegar on the top. You can eat this on it's own, or serve it with some rice or some couscous for a nice little lunch. If you wanted to, you can do two tomato slices with some more goats cheese between them. This is a very adaptable recipe.... more of a schematic I think. I wish so very very much that I had a recipe for you today. I would give anything to tell you that I've pulled off an astonishing feat and managed to perfectly recreate that which eludes me. But no. No such luck. I've got absolutey nothing. I've been out of Atlanta for eight months now and I miss Southern food desperately. It's one of those strange things... you don't realize what you have until you've left. I miss yummy Fluffy Grits, I miss Apple Butter. Heck, I even miss friend Okra. Who on earth misses Okra? But the real kicker, the thing that I'm really pining for, is a light fluffy crisp chewy sugary tangy savory crumbly melty biscuit. A Flying Biscuit to be the most precise. The Flying Biscuit Cafe is an institution in Atlanta. It's famous for it's biscuits, but they also make dreamy scrambled eggs, awesome lunch items, a baked brie that is out of this world, and some of the best french toast in the world. Many a time, I would swing by on my way home from a morning of work and pick up biscuits for the boy and I. Once, after he was suffering in the middle of a particularly wild bachelor party for a weekend, I picked up a dozen biscuits for him and the other guys to lighten the hangovers and prep them for another day of debauchery. There are recipes all over the internet for Flying Biscuits, even some sanctioned by Flying Biscuit themselves. But honestly, I have to tell you, they are a sham. You can try all you like but there must be something they just aren't telling you because they are never as good. They never rise as high. They never have that perfectly smooth top that has a little crisp to it. So I'm on the verge of giving up I think. I can't recreate them. I wish so very very much that I could. I wish I could share them with you today. I gave it another good shot, I really did. I made a nice set of biscuits and they looked quite good going into the oven, but really they were a sham. They were badly dressed impostors with fake mustaches and the wrong perfume. I swear I tried. Since I can't make them, and you probably can't either (and dear god if you can please tell me how! ), the next time you are in Atlanta you should take a detour and, even if you can't stop in for brunch, at least get yourself a Flying Biscuit. Then you'll understand and you'll know what I'm talking about. And then you can be as frustrated as I am! I have a confession to make. I can be a bit lazy when it comes to ingredients. If a recipe uses an ingredient that I tend not to keep in stock, I'll often choose to block it out as a potential for my repertoire, or find a common substitute for the ingredient. One of the big ones here is Creme Fraiche, which I have never, ever had in my fridge. I'll often substitute strained plain yogurt. As I continue to spend more time expanding my food experience, I intend to shy away from this poor and limiting behavior. Part of confessing this here is accountability. You know my guilty secret now, and that should be enough to shame me into fixing it. When I saw Buttermilk at the store for $1.89, I grabbed it immediately and decided now.... now would be the time that I would recovery from my silliness and make myself something with Buttermilk in it. I'm always scared of buying Buttermilk because it comes in such big containers and I worry that I won't be able to use it all before it goes bad. In the name of progress and blogging accountability, I now have Buttermilk in the fridge. No more mixing milk or cream with lemon juice and letting it sit a little. So what to do with it? When we were in San Diego I had the most amazing Gelato. I couldn't shake how much I loved the Dark Chocolate and Orange taste. I wanted more of that, but that didn't exactly scream Buttermilk to me. These days, when you don't know where to put a flavor, it seems the easiest thing to do is to just throw it on a cupcake. I needed a plain vanilla base cupcake recipe anyway, and Buttermilk definitely adds a moistness, which is my chief complaint with cupcakes, so I did a little research and then hit up the kitchen. Twice. And here I have what I consider a strong success. A great basic cupcake recipe for tweaking, and a way to get that yummy chocolate orange combination that I've been craving. Score one to me for the being willing to explore new ingredients. And now I'm going to score two, because I'm going to make my own Creme Fraiche. So, what else have I missed by avoiding Buttermilk? These cupcakes need to come out very moist, so be super careful not to overcook them. Also, sift your flour, even if you are the kind of person that never sifts it. Make an exception here. Use large eggs, not extra large or jumbo else the cupcake will be too rubbery. If you only have extra large, beat them in a bowl before adding them and remove a teaspoon. Preheat the oven to 350F. Line a 12 Cup Muffin pan with paper muffin cups, or heavily butter the individual cups. Cream the butter and sugar together. Add the eggs and vanilla, then the buttermilk and orange zest, then the dry ingredients, sifted. Mix until just combined, try not to overmix the batter. Pour the batter into the muffin cups. You'll be using about 1/4 Cup of batter for each one. Bakes for about 21 minutes, but keep a close eye after 18 minutes. You want the cupcakes cooked until the top just springs back. Keep a watchful eye! When the cupcakes have baked, set them aside to cool. When they are close to being cooled or room temperature, make the ganache. Heat the cream in a saucepan over medium to low heat until it is just simmering. Put the orange zest and and chocolate in a wide heatproof bowl. Pour the hot cream over it and let it sit for a a minute or two, then gently stir the mixture to combine. The heat from the cream should melt the chocolate entirely. When it is mixed all the way, take a cupcake, hold it upside-down, and then dip the top in the ganache, making sure it is all coated, and giving it a little twist as you raise it out. Then let them sit and cool. You'll likely have extra ganache which will store well in the freezer, or you can chill it and roll it into truffles. A long time ago, I can't even tell how long it has been now, I fell in love with Goat's Cheese. I thought it was just a fling. We would have a torrid and dangerous relationship, starting with crackers and tomato tarts, and ending with me crying and gaining several pounds. But Goat's Cheese has proven to be a generous and gentle lover. For a start, it has more "good fat" than regular cheese, and it's versatile whilst still robust. Also, John, besmircher of all things dairy, loves it. So it became a part of the family, and I made it up a little permanent room in our fridge, where it hangs out with the cheddar, Stilton and mozzarella. It's happy, I'm happy, we aren't sick of each other yet. It looks like it will last forever. But oh how my head has been turned to a new, frantic, passionate love. And this time, there is no good fat involved. I am having a serious fling with Lemon Beurre Blanc. It's naughty, dirty, filled with wine and butter, and has left my pantry devoid of shallots. But I want it on everything all the time. I'm mad about it, frenzied over the thought of tangy buttery lemony deliciousness. I find myself making homemade gnocchi just because I want to put Beurre Blanc on it. I'm hopeless. Beurre Blanc is a french white butter sauce and it's often made with wine and vinegar but I've been making it with wine and lemon juice. A while ago I had purchased a bottle of inexpensive white wine. I took one sip of it and instantly couldn't stand it. I don't remember now so much what the taste was like, but I'm not one to waste alcohol, so I instantly decanted it into tupperware and threw it in the freezer. I often do this with leftover wine, or wine I don't care for. Lemon Beurre Blanc is very very tangy and rich. It has such a bright flavor, and is surprisingly easy to make. It works well as a sauce for fish, but I've mostly been putting it on potatoes. The delicate earthiness of a boiled potato, or the dense chewiness of gnocchi is the perfect vehicle for a sumptuous sauce like this. Be warned though, once you've started down this slope, you might find yourself sneaking around with it, cheating on all your other sauces, telling lies to your spouse about the calorie content... basically acting in a very improper manner. But oh, it's worth it. This is a small recipe, yielding just over 1/3rd of a cup. I've found that making more is dangerous for me, as I can get a bit carried away. It's a rich sauce, so you really don't need too much of it and I've found this a good serving size for two people drizzling it around a plate of potatoes and fish. Finely mince the shallot and put it in a small pan with the white wine. Simmer over a medium heat and let reduce until it's barely a glaze. Add the lemon juice and again, reduce it until there is just barely any liquid left. Add a pinch of salt and a grind of pepper. Dice the butter up into small cubes. Turn off the heat. Add a cube or two of butter and stir in. When it's melted, add the rest of the butter and stir. If it gets too cold to melt, return the pan to a very very low heat. Pass the sauce through a strainer to pull out the chunks of shallot (which have probably turned pink). Serve immediately as it will solidify if set to cool. You can, in the event you have any left (pffft), store it in the freezer. I had a week off. I wanted to go somewhere. We needed to be able to drive there. John wanted to frolic in the sea. It all seemed like quite a simple thing to figure out, so we planned a little, packed up the car, and went to explore San Diego for three days. I wasn't really sure what to expect from the town. I didn't know a whole lot about it, but I really liked what I found. It's filled with mountains overlooking lovely beaches and the place doesn't feel too new or too old. We had no shortage of things to do and see and explore and you could really really walk. Downtown and in the Gaslamp District, feet or pedicab was the best way to roam around. I loved it. 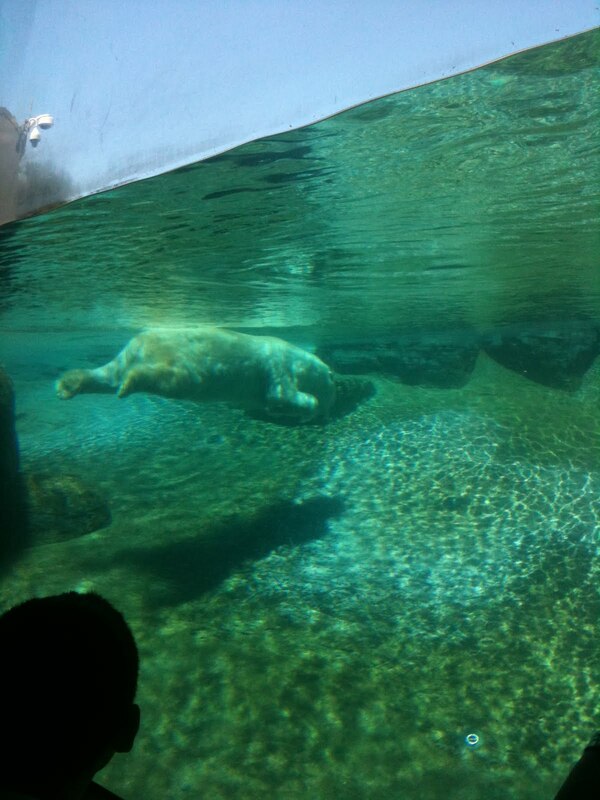 We saw a Polar Bear swim at the zoo. 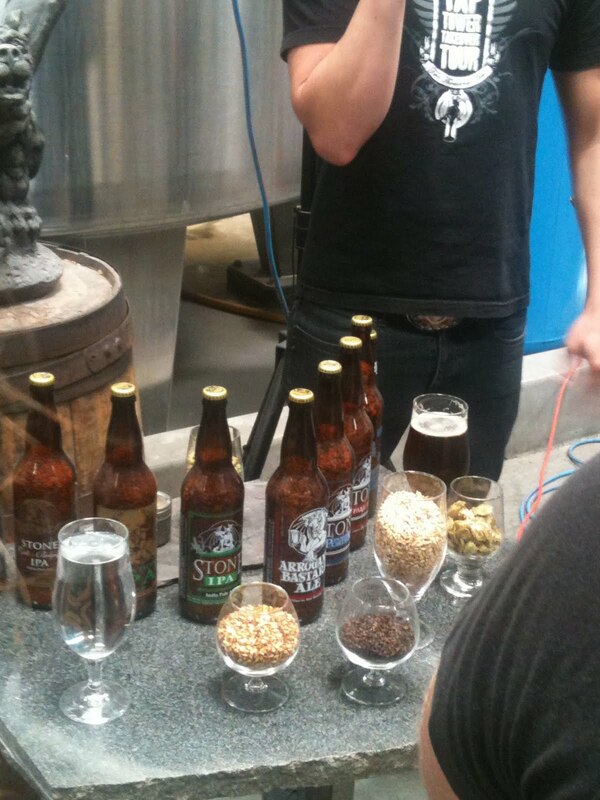 We got a tour of the fantastic Stone Brewery. We saw a stunning sandcastle and wished we had made it. And we ate. A lot. We found a few really really lovely dishes that are certainly worth a look if you are in the area. The view from the patio is lovely, as they are right by the convention center in the Gaslamp quarter. The service was great. This was the priciest meal that we had while we were there and honestly, I think it was worth it. The Clam Chowder was quite delicious. It was rich and thick and unctuous, and the Sourdough Bread rolls that come with the table were delicious. The chowder was a little heavy on the bacon. They have a Crab Cake that, though I didn't try it, my friends who were with us found quite delightful. It was 98% crab, no mayonnaise. 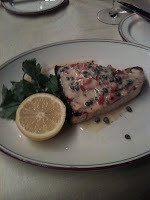 The Grilled Swordfish with Lemon and Capers was just phenomenal. 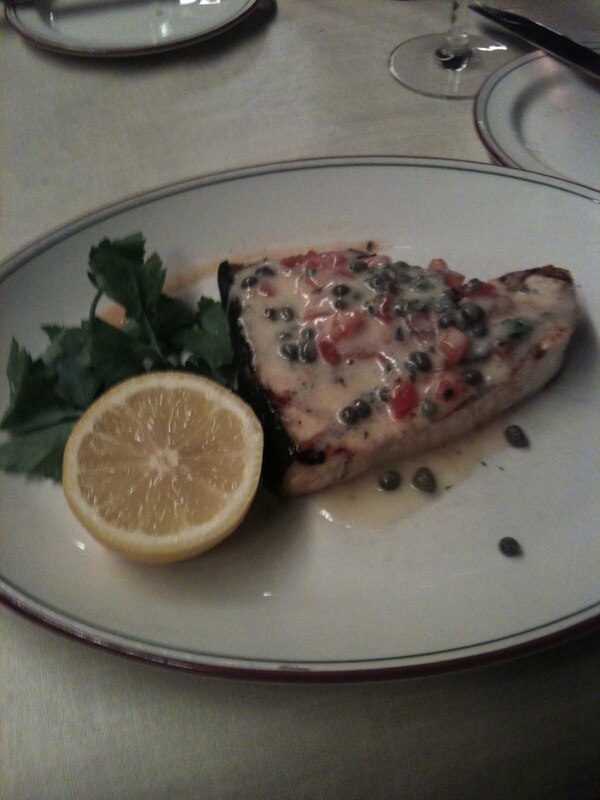 The swordfish was moist and tender and flaky with just the right amount of chew. The seasoning was balanced and perfect. It was topped with thinly diced tomatoes and it blew my socks off. It was perfect. Hands down, the best Gelato I've ever had. I had the Dark Chocolate and Orange and it was stunning. Rich, creamy, deep. Their flavor selection was incredibly impressive, and it was a nice little bar too. I would love to have hit this place up again, but sadly we didn't get the chance. Next time though, I'll be there. Try and stop me. Pacific Beach is very heavy on the drunk college-age people scale. It's sad, but true. But it is a really pretty place to visit. We hung out at the beach a little, John played in the waves while I declared it too cold and overcast and promised to do so another day. We wandered around to find a likely place to eat and picked Pacific Beach Alehouse so that we could try some of their local fresh beer, which was quite good, and to sit on their roof and eat during sunset with a pretty view. And oh man, their Lobster Bisque. It was divine. It wasn't too heavy at all, just a thin and tasty brothy soup with tomato and cream and itty bitty chunks of lobster. I'm now a bisque convert. Give me bisque, give me it now! It was fabulous. Really really worth it. Visiting Stone Brewery was probably a highlight of the trip for me. 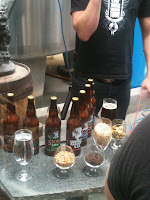 We got to take a tour of the brewery, which is a regional craft brewery, and sample some of their great beers. We also had a fantastic tour guide, who made the experience even more awesome with both his knowledge and his sense of humor. It's a strange place, Stone Brewery. It's tucked out of the way and there are no signs for it, but it is gorgeous. Their restaurant is probably one of the loveliest places I've eaten in. It is light and airy and architecturally interesting and quite brilliant. John ate the Duck Tacos, which he proclaimed astounding. I had the Citrocado Salad, which was probably, and sadly, one of the worst salads I've ever had. It was touted as a spinach salad with goats cheese, mandarin and soft boiled eggs with a cilantro and avocado dressing. The first time it came out, it was literally spinach, two hard boiled eggs that had been cooked within an inch of their life, and raw onion on top. When I questioned the waiter, primarily on the eggs, first he told me they were soft boiled, then he tried to say that they were quail eggs. He wasn't terribly polite and I asked to order something else. He stalked off and then came back with a more representational salad that had the items described on it, but by that time I had lost my taste for it, and when I did start to eat it, the raw onion overwhelmed all other sense of flavor, even though I had picked them off. I couldn't find a hint of avocado anywhere. I was sorely disappointed. But, it was still a lovely visit and I really did enjoy the atmosphere. And, again, John's Duck Tacos made him deliriously happy so it worked out. We decided to wander around the harbor area and got a lot of walking in, a lot of sitting and watching yachts go by, and a lot of enjoying just being out in weather that wasn't trying to roast your lungs with every breath. We stopped for Gelato at a little cafe and it was quite nice, but we had been spoiled by Chocolat. It seemed like a really nice little place though, the kind that you would stop in for a cappucino and a dessert on a weekend afternoon when you want everything to feel slow and dreamy. Since eating downtown is so pricey, we decided that we should grab a dinner up in Mira Mesa, where we were staying. We found a random sushi joint and were delighted to find that, even though it was a saturday, most things on the menu were half off. We gorged on four quite good rolls and walked out of there having spent around $50, including drinks. It was a nice little stopover and I was happy to have found it. John and I have a particular weakness for Sushi. I can't believe I didn't eat it until I was in my twenties. One of the happiest accidents of all, was the little bistro we stopped out on our way out of town. We had been aiming for the Italian restaurant next to it, but it was closed so we hopped next door because it looked busy. Oh man. We had accidentally found a French Bistro. It was family run and the waitress introduced herself as Agatha in a thick French accent. I was delighted with my Brie Delice on a crusty baguette, and John's Tomato, Mozzarella and Pesto Panini was delightful. The crepe I ordered to go with it was light and yummy. Just perfect. I wish we had found it sooner. I want to eat at least half their menu. It was so nice to be somewhere that felt European not because it was trying too hard to be, but just because it had easily relaxed into it. Our final stop was in LA, where we got to see some old friends, ate some really great enchiladas, and a delicious cheese dip type appetizer which I think I heard the beautiful Carolyn order as Fajita Queso but I could be wrong. Great Margaritas, nice vibe, nice area. But lets face it, we were there for the company and I confess to paying little attention to the food other than knowing I liked it. And so, there we have that adventure. It was a lovely one and I look forward to the next, whenever that may be. It's been a busy weekend for me. I had some time off work so my other half and I headed to California for a short vacation. More on that in a future post. But now we are back "home". Coming back to Las Vegas filled both of us with a little bit of dread. We aren't comfortable here. It isn't home, it's more where we live. I love my job and it's nice to be exploring the country a bit more, but it still doesn't quite sit right. But, here we are, with all of our stuff and our two quirky cats and I still don't have to be at work until Thursday. So it's time to catch up with other projects and hopefully spend a little time in the kitchen. And what better way to start it off than with an easy lunch. I'll be back soon with a write up of San Diego and then hopefully, will resume my regular schedule. I've been making these wraps for years. They are fairly healthy, since there is no butter or oil in the cooking. In fact, most of the caloric content comes from the tortillas. I used to make something akin to this with chicken for ever ago in Atlanta. What you get is a crisp, tangy and very texturally interesting wrap. Do your self a favor, toast your tortillas a little for this. I usually set them directly on my stove gas burner for about twenty seconds a side. Put the lime in the microwave for thirty seconds. It pulls all of the juice out and breaks down everything inside the lime. Slice the pepper into ribbons and place in a saute pan with the juice from half the lime. Cook on medium to high hit, unsticking the pepper regularly. You want the lime juice to all have evaporated and you want the pepper to be sticking in places so that it is a little charred. Then, add in the shrimp and the rest of the lime juice. Grind some salt and pepper over the mixture. Meanwhile, toast your tortillas. In a bowl, combine the sour cream and taco seasoning and mix well. Lay out your tortillas and put a small amount of salad greens in the center of each one. Crispier lettuce is best for this. When the shrimp is well cooked and starting to get the same kind of brown char on it, pull it off and split the mixture between the two tortillas. Top with the diced tomatoes, then a tablespoon or two each of the sour cream mixture. Roll it up and fold over the end so the goodies don't slip out. Crunchily eat. I'm eating my way through San Diego. I'll be back. I love my job. There are a lot of cool things about it. I get to work with very talented people who do very impressive things and I get to be hidden and invisible while I do it. Seriously. I wear all black. I'm like a ninja, but instead of throwing stars I have a pen and a flashlight. One of the neat perks of my job is that on an occasional week (one in five, give or take) I get to see what other departments are doing. I work on a big big show and our sound department is particularly epic and well-equipped. We have the largest indoor sound system in the world, so they are also quite busy. The other day I got to watch the show with them and see what they do and learn lots of neat things. As payment for me imposing, I promised them cupcakes. I had plans. I was going to make my new favorite cupcakes, which are dark and chocolatey and gorgeous. When I got home though, I discovered that a sneaky evil redheaded beast had stolen all the chocolate for de-stressing consumption (that would have been me). So I had to come up with a backup plan. I used to, a long time ago, make these delicious raspberry muffins. I couldn't for the life of me remember where I had gotten the recipe from, and couldn't remember enough of it to recreate it. I was saddened by this loss to my repertoire until, during this last move, I stumbled across the tiny little booklet that the recipe came out of. There was much rejoicing. As I leafed through the booklet I found a couple of pages were stuck together. Curious, I pried them open to discover the also thought-to-be-lost Snickerdoodle recipe that used to be my standard. So when the cupcake plan fell through I seized the opportunity to dust off these precious precious little gems. Snickerdoodles are sugar cookies that get encrusted with cinnamon and sugar. They look lovely, with light cracks coming through the darker, cinnamon-flecked crust. They have just enough crisp on the outside and are impossibly soft on the inside. They are very good for thanking/bribing people that you work with. Plus that means everyone gets to say Snickerdoodles, and that is just neat. This is a big recipe and yields about 40 cookies. Preheat your oven to 400F. Line a cookie sheet with greased parchment paper or Sil-Pat. In a mixing bowl, cream the sugar and butter until it is pale and fluffy. Add in the eggs and the vanilla, then the salt, baking soda, cream of tartar and allspice. Then add in the flour and mix until smooth. This is a pretty stiff dough. In a small bowl, mix the topping ingredients. Pinch of some dough and roll it into a one inch ball. Then, roll it around in the sugar and cinnamon mixture until it is well coated. Place the balls on the cookie sheet about an inch and a half to two inches apart. Leave them as balls, don't flatten them... this is how you get the neat cracks. Bake for about nine minutes until they are set. Check them after seven though because many peoples ovens are different. Cool on a wire rack. These are best in the first two days after baking.